In math, Mrs. Yollis’ students have been working on geometric 3-dimensional shapes. 3-D shapes have flat faces, straight edges, and pointy vertices. 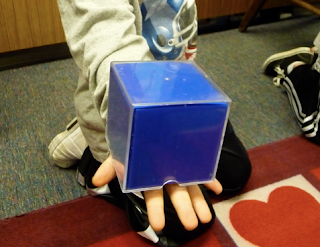 One 3-D shape is a cube. It has six square faces, twelve edges, and eight vertices. 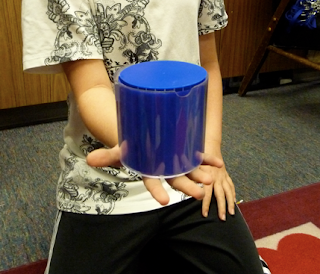 Another 3-D figure is the cylinder. This space figure has two circular faces, zero edges, and zero vertices. 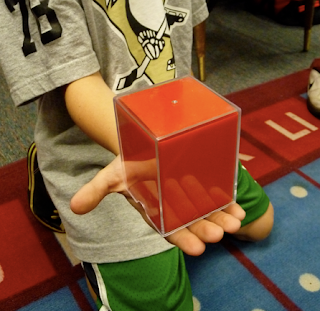 Rectangular prisms have six faces, twelve edges, and eight vertices. 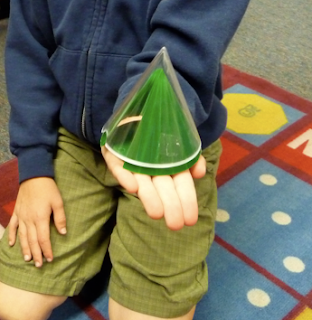 A recognizable 3-D shape is the cone. It looks like an ice cream cone. The cone has one face, zero edges, and one vertex. 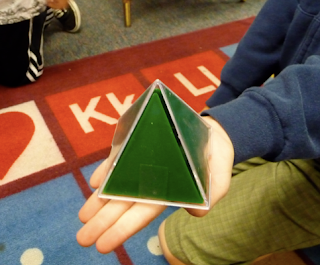 One very unusual 3-D shape Mrs. Yollis’ students have learned about is the square pyramid. The square pyramid has five faces (four triangular and one square base), eight edges, and five vertices. 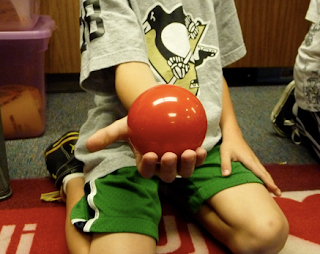 The final 3-D shape our class learned about is the sphere. It has no faces, edges, or vertices. Here is a PhotoPeach show we put together! See what the faces of the shapes look like! 3-D shapes are extremely fun to learn about! 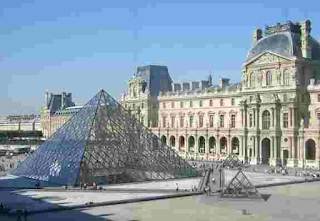 Thanks to Mr. and Mrs. Kim for the photo of the pyramid at the Louvre Museum! Do you know any 3-D figures we didn’t mention? How many faces, edges, and vertices did you find? Mrs. Yollis' and Mrs. Ranney's classes joined a fabulous Internet Weather Project sponsored by Switlik Elementary School in New Jersey. February 23, 2010. We checked to see if it was hot or cold, cloudy or clear, calm or windy, and wet or dry. The slide show that you viewed above shows how we did this. 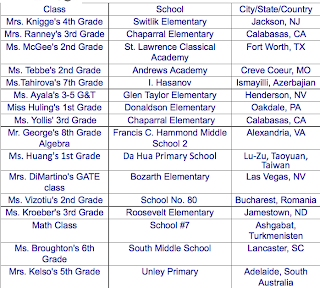 We will send our results to Switlik Elementary School in New Jersey. Then they will post the results they receive from all the participants. You can see that the participants are from all over the United States and the World. We can't wait to find out about the weather in each of these places! What did you enjoy about weather day? What new weather facts did you learn? What kind of weather do you enjoy most? 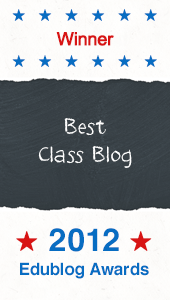 Mrs. Yollis' class has met many wonderful teachers and students through their educational blog. 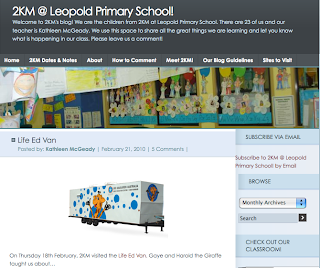 Last year, they became good friends with Miss McGeady and her students from the 2KM blog in Australia. they sent a song to their new blogging buddies. 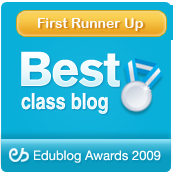 The two classes regularly read each other's blogs and have met via Skype. 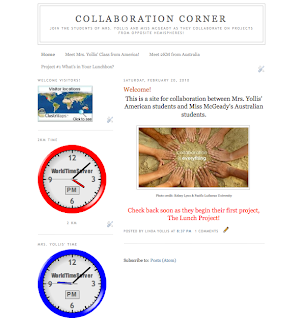 The Collaboration Corner blog will be a place for the two classes to collaborate on projects. The first project is called What's For Lunch? This fantastic project was first discovered on our new friend's blog, The Smarties, from Western Australia! The What's for Lunch? project will begin soon! Trent made an Olympic Halfpipe model for Shaun White and Rocky, Panda's little brother. What do you think of Trent's Olympic project? What you you think of Rocky, Panda's little brother? Mrs. Yollis' class is always trying to improve their writing skills. Here are some quality compound sentences using the words Olympics or reflection. Jaxon: My brother, Jordan, went to the Olympics, and he bought me a pair of red maple leaf mittens. Sam: The Olympics had magnificent actions, and I hope Team U.S.A. dominates the other teams. Kate: You see your reflection when you look into a still, flat pool, and you can also see yourself when you look into a pond. Richie: This morning I saw Shaun White snowboarding, and he is a participant of the 2010 Vancouver Winter Olympics. Jared: At the Olympics, I am cheering for my country, and the host country of the Olympics is Canada. 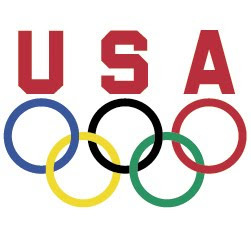 Ayush: I am excited because the Olympics have started, and Shaun White from Team U.S.A. won gold! Kendall: The Winter Olympics take place in Vancouver, and many athletes come to compete there. Kayla: I think the Olympics are really cool because it's fun watching all the exciting tricks they're performing, and I'm rooting for Team U.S.A. Many of the compound sentences used the word...Olympics. 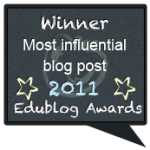 Readers can leave a comment about the outstanding compound sentences, or they can comment about the Olympics. Mrs. Yollis and her students are excited about the 2010 Winter Olympics! The official website of the Vancouver Olympics is filled with important Olympic information. The Olympics are special because athletes who have been training for a long time, many for their entire lives, meet together for this international competition. Each competitor represents his/her country. If you would like to sign-up and receive the latest information on Team USA, click here. If you would like to see some Olympic sites on Mrs. Yollis' website, click here. The Olympic motto is Citius, Altius, Fortius! In Latin, that means Swifter, Higher, Stronger! 6. Meet the Olympic Mascots! Please leave comments throughout the Winter Olympics! 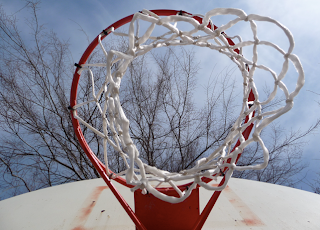 What sport did you enjoy watching and why? Which athlete or team demonstrated the best sportsmanship? Do you know any Olympic facts to share? February 23, 2010 is Internet Weather Day! Last February, Mrs. Yollis' class was part of a fabulous Internet Weather Project sponsored by Switlik Elementary School in New Jersey. We learned a lot about weather and geography from the experience. 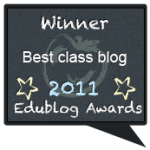 FUN WEATHER LINKS on Mrs. Yollis' Websiste! Here is some information about our experience on February 17, 2009. 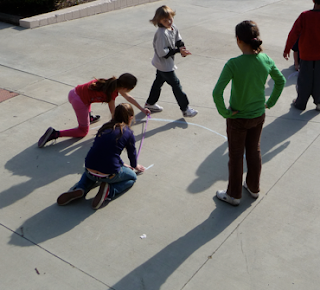 The class went outside and gathered data about the weather at noon. Switlik teachers collected and shared the information. It was interesting to compare the weather and learn about new places! Here is some information from Switlik School about how to participate. snow depth (how many inches or none). You are welcome to send pictures (jpeg format preferred) and comments about your weather. Please send the results by February 26, 2010. The final results along with comments and pictures will be posted on our website. We will email an Excel spreadsheet to everyone by March 2, 2010. On our website: Switlik Elementary you can click Weather Day February 23, 2010, for a list of participants. You can also check our website: http://switlik.jacksonsd.org and click Weather Projects on the left to view our previous weather projects. We're looking forward to February 23, 2010! Much Love From Mrs. Yollis' Class! What surprised you about Sweetheart Math? Did the box from Paul have more or less hearts? Recently in our reading textbook, we read The Garden of Abdul Gasazi, Chris Van Allsburg's first children's book. It is a clever and mysterious story about a dog named Fritz who runs into Mr. Gasazi's garden. Fritz is possibly turned into a duck by Mr. Gasazi, but the reader never really knows for sure. Mr. Van Allsburg leaves that up to the reader to decide. Because Mr. Van Allsburg is such a talented writer and has written so many wonderful books, Mrs. Yollis read three more Van Allsburg books. 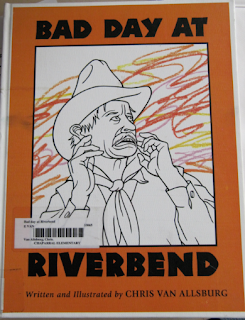 The first book we enjoyed was Bad Day at River Bend. The story seems to take place in an old western town. Everything and everyone in town is being covered by a colorful greasy slime. However, at the end it is revealed that all the characters are in a young boy's coloring book! 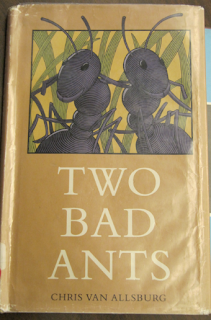 The second one we listened to was called Two Bad Ants. Through their experiences in the jar of crystals, which turn out to be sugar, these ants learn that they are better off staying with their colony rather than venturing out on their own. 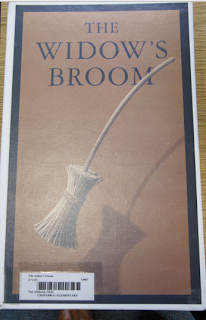 Finally, Mrs. Yollis read The Widow's Broom to us. It was an eerie tale in which a witch's broom comes to be owned by a widow. The neighbors are very upset about this enchanted broom who does all the widow's chores and want to do away with it. However, the widow comes up with an extremely clever plan to trick the neighbors and keep her broom! Please leave a comment and give us your opinions. 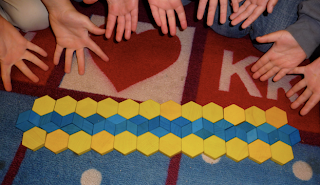 Today Mrs. Yollis' class learned that when plane figures combine to cover a surface without overlapping or leaving any space between them, those figures tessellate. Above is a radiating tessellation. Here is a linear tessellation. We had fun exploring and even creating some beautiful geometric artwork! 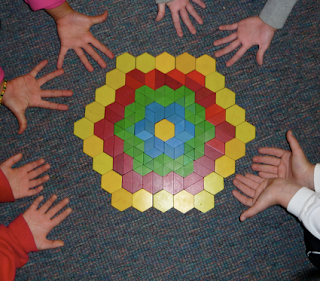 Do you see any tessellations in your house? Last weekend, I went whale watching with my family. It was windy, and sometimes the mist from the ocean got us a little wet. Please watch my slide show to see some of the wildlife in the Pacific Ocean! 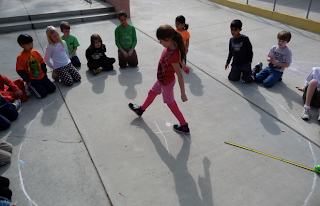 Mrs. Yollis' class has been learning all about geometry. 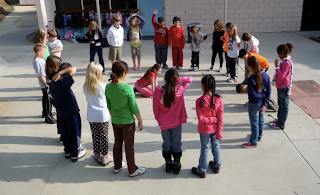 Last week, they learned about the CIRCLE! 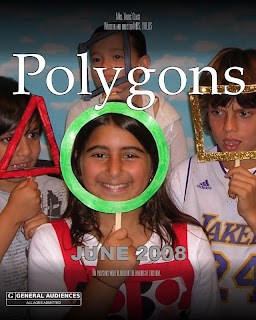 This week, the students are learning about POLYGONS! A CIRCLE is NOT A POLYGON and never will be. Don't worry, it has a happy ending! Do you have any polygons in your house? Which shape was your favorite character? March 3, 2010 is World Maths Day! 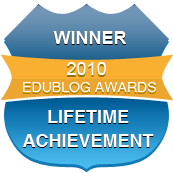 It is a fantastic Internet project for students. Mrs. Yollis' class participated last year and really enjoyed the experience! All students were given a Username and Password today so they can prepare for March 3. Let us know which countries you have played against! 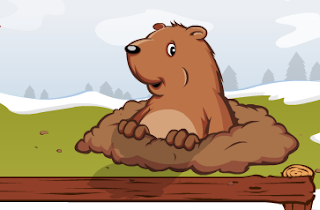 Today, February 2, Punxsutawney Phil came out of his burrow at Gobbler's Knob in Pennsylvania. sees his shadow... then winter weather will continue for six more weeks. What do you think of Punxsutawney Phil? Do you know of any other traditions? we are learning about circles. 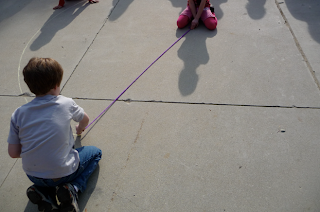 Chalk was tied to a piece of yarn. The yarn was the RADIUS. A student sat in the CENTER. 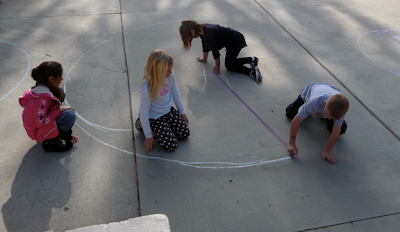 the chalk was dragged around the CENTER creating a CIRCLE!. 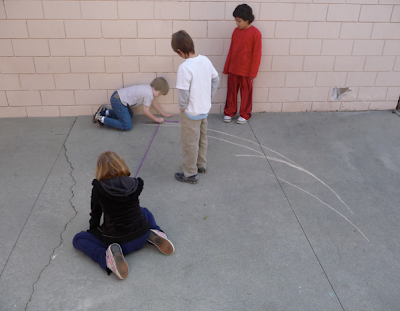 It was hard to keep the chalk the same distance from the CENTER. Finally, we had a beautiful CIRCLE. 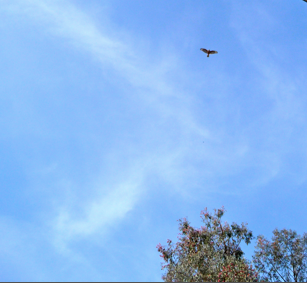 Screech, our local hawk, was too busy hunting to be interested in circles. 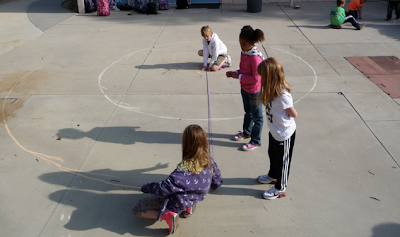 students broke into teams to create their own CIRCLEs. One group used the CENTER from the class CIRCLE. 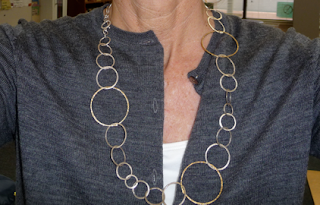 Now there were two CONCENTRIC CIRCLES! 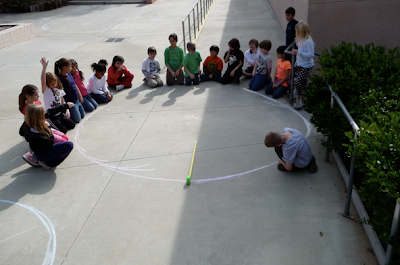 After the CIRCLES were made, it was time to measure the RADIUS and DIAMETER. The DIAMETER of this CIRCLE was 6 feet. 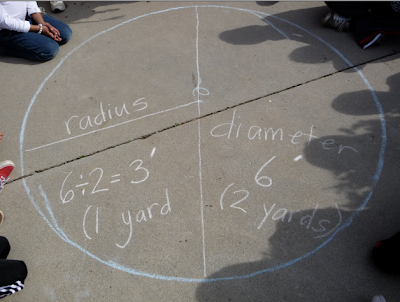 We divided the DIAMETER in half and got a RADIUS of 3 feet. 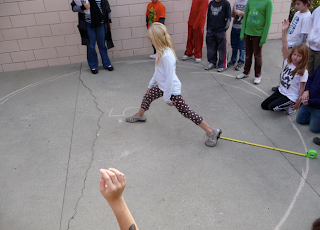 Here we used a benchmark unit of 1 yard to predict the DIAMETER. 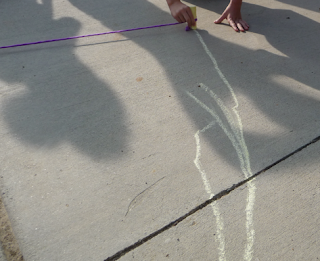 Some students marked off their guess using giant steps. 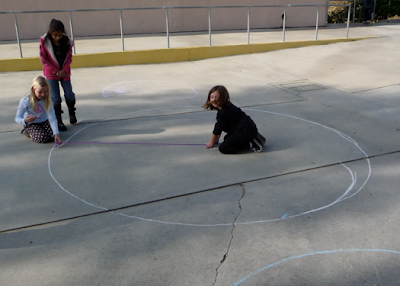 Each team's circle had a different radius, and of course, a different diameter! Some students confuse a circle and a sphere. Here is a quiz. Do you know the difference? How do you like our circles? What circles can you find around your house? 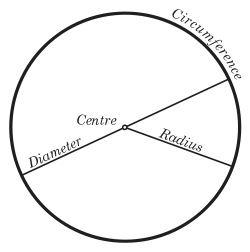 Try measuring the radius of a circle you find at home and let us know what the measurement was. Remember, to find the diameter, double the radius!